Do all Solicitors live in the same World ? It seems not ! Yesterday morning I was listening to Newstalk Breakfast Show on the Radio, when I heard an interview with a solicitor ‘ ‘a leading commercial litigation and corporate recovery lawyer in Ireland. He has represented parties in all of the significant corporate restructuring cases before the Courts as well as regularly advising leading domestic and international companies on commercial law, corporate finance and regulatory issues… also a lecturer for the Law Society of Ireland in their Higher Diploma Course on Corporate Recovery and Insolvency.” So, not your average High Street Solicitor dealing with the Citizen on an average day. I was horrified then to hear him pontificate about competition within the profession driving down costs. He made the point about all those solicitors being out of work was the factor driving legal costs down. What utter nonsense. The legal profession is made up mainly of solicitors who work daily on behalf of the citizen. They charge reasonable fees knowing that their clients have a limited purse. This has always been the case. In fact many a time the costs charged do not even cover the costs of the work undertaken. The fact that their numbers have diminished since the demise of the Celtic Tiger has had little or no effect on the costs of providing legal services. They take on litigation cases on a no foal no fee basis as otherwise the citizen would be unable to pursue their cases. This is a fact but one disputed by the Elites in the profession who control their governing body, the Law Society who claim to represent the opinions and views of the profession as a whole. I would humbly disagree and state that this is not in fact the case. When the Personal Injuries Assessment Board, PIAB, now known as The Injuries Board was about to be imposed upon the citizen, I personally was told by the Director General, Ken Murphy, that he did not represent my views. I asked him why not and he responded that a lot of other solicitors held different views than me. So Ken, you represent them NOT me. Fair enough. Once that position is clear and known that the Society does not in fact represent myself and others like me, at least we know where we stand. I would caution that there are a breed of solicitor who have grown up over the Celtic Tiger years and one that I take an exception to. That is the practitioner who charges a fee based on him not reading the title in conveyancing matters. It would appear to me that they are dangerous both to the profession and the citizen. We charge fees in conveyancing matters based on reading the title to the proposed purchase/sale and pass on/acquire the best title possible. Conveyancers are a particular breed of solicitor who have a lot of experience in dealing with very complicated titles. Unfortunately those undercutting their colleagues are not doing anyone a favour. In my view they are charging for a job they are neglecting to do. They rely on their Insurance Policy should a problem arise, which it will inevitably do. Who then has to clean up the mess and is criticised for charging for so doing but the High Street Conveyancing Solicitor. Now, what do I have in common with the Elites within the profession? Nothing, absolutely nothing. Those firms that deal with the Bankers, Insurance Companies and indeed the Government. The fees charged out to these sectors are enormous and go unchallenged as they are the Old Boys Network. Don’t get me wrong. There are many good lawyers working in the Corporate sector and indeed for many of these Elites. They are not the problem or even a part of the problem. They are the footsoldiers who do the work, the daily grind. They will be used and disposed of at the whim of the Senior Partner and those whose interests he protects. Certainly not theirs. Control of the profession is essential for these Elites and the proposed changes being introduced by Minister Shatter goes some way to undermine this. Shatter of course, has his own agenda, but that is another days work. Cynically, the Elites have attempted to move the profession to action to stop the Law Society being undermined by the proposed changes in the new Legal Services Bill. Watch this space. S0me years back, an alarming development occurred. Changes were introduced whereby the Banks and Building Societies made the decision that they were no longer going to pay solicitors to act on their behalf in the provision of mortgages. They stated that this was an added cost to the borrower. Indeed it was and one that should have been borne by the Banks themselves. The Law Society introduced what is called a Certificate of Title. This was where the purchaser’s solicitor has to certify the title to the Financial Institution and so have a liability not only to their client but also to the Financial Institution. Many of us were horrified with this development on many fronts. Firstly, we resented replacing colleagues who did a great job in examining the title on behalf of the Banks etc. The interests of the Bankers and the citizens are not the same and separate representation is essential. Secondly and more alarming, was the exposition of the profession to the whims of a rogue solicitor who could act in a criminal way and cause devastation both to their clients as well as the profession as a whole. Today we are all too aware of the number of crooked lawyers who have played the system for their own benefit leaving chaos and devastation behind them. Who picks up the tab? The High Street solicitor who can ill afford to pay up such vast amounts and who is the one unrepresented by the Elites who run the Law Society. I personally would love to see those good people both on the Council of the Law Society and within the work force in Blackhall Place set up as a Representative Body for the High Street Solicitor and him/her alone. These solicitors need representation and we have within our ranks those good people who would indeed represent our interests. Will this ever happen ? Well, a few years back I would answer a definitive No, but today I do have some hope in the integrity of those dealing with the real problems we face and who have shown a disgust at the direction the leadership of our profession has taken in recent years. There have been local Bar Associations Groups throughout the entire country who have stood up against vested interests as of late, although their efforts at reform from within have been stymied by those holding power. A new direction is need and a new representative body must emerge in order to ensure the proper representation of the citizen in the years ahead. As regards the other branch of the legal profession i.e. 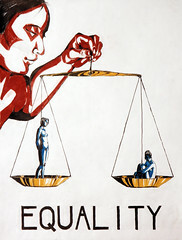 The Bar, the fate of many good independent barristers is being decided by Government in an unfair and shameful manner. I will deal with that issue in another Blog. Many years ago when I heard about the formation of the SMDF, I was excited because I felt this was a great idea that my Professional Body was endorsing something by Solicitors for the benefit of Solicitors. Great idea. I immediately joined and remained with the SMDF until I observed practises which I disliked. I aired my views and this resulted in one of their senior Solicitors telling me that if the SMDF didn’t cover me then nobody would. I took exception to these remarks and immediately contacted the late Padraic Smith, Insurance Broker who arranged an Insurance Policy for me, at a fraction of what I was paying in Premiums to the SMDF. Remember it is a Defence Fund, not a Policy of Insurance. At the end of the following January I had a visit from The Law Society. This was not a problem and a very nice gentleman carried out an inspection of my Accounts. Upon completion I asked if this was a random visit or were they looking for something in particular. I was horrified to be told that The Law Society had been advised that I was practising without Insurance and I was told (He said “Don’t quote me”) who had reported me. I was horrified, no I was disgusted. This year, all solicitors, bar the Elite, have had horrendous problems renewing their Insurance Policies. No help was forthcoming from the Law Society. In fact a colleague told me the Society had referred him to the SMDF as a Fund of last resort but had heard nothing back from them. Thankfully he finally got Insurance. There is talk of a New Policy to cover the profession but now I am told this will not take place this coming year because of one reason or another. We are now being asked, like the Irish People were by Brian Lenihan to trust in him. That the Banks needed saving and we must Guarantee them. We now as a profession are being asked something similar by those who may well have advised Mr Lenihan on his course of action. Instead of the use of the word ‘collegiality’, Lenihan used the word ‘patriotism’. We have heard both arguments as to why we should or should not Vote for the present Proposal. To ‘save our colleagues’ or not, some say. That is not my reading of the situation. It would appear to me, from a perusal of the very limited information now to hand that some questionable decisions were made by the SMDF as to investment of Funds etc. Maybe the SMDF Members should be investigating the operation of the fund and demanding to know what questions were put to Counsel and what they received by way of Advice. There are too many unanswered questions. To now ask the profession as a whole to Vote Yea or Nay without a full Brief is, I feel erroneous. A lot of Firms have made a hell of a lot of money in Legal Fees as a result of their acting in many Court actions for the SMDF. To now expect the average solicitor, who has been put to the pin of his/her collar in recent times to pay up is quite extraordinary. A lot of solicitors have lost their jobs and many of those who did succeed in getting Insurance Cover have had to dig deep into their own pockets to pay the premiums as many Banks have refused to fund the cost of this Insurance. Where was the leadership of The Law Society when we all needed help then? From the Memorandum of Vincent Crowley provided to us, it shows clearly that The Law Society want to ensure a Yes Vote at all costs. They cannot afford to lose face. They are telling the profession how to Vote not asking them for a Direction. Don’t get me wrong. I admire the majority of the people working in Blackhall Place. They are good people. My grievance is with the Elite, the politicians who want to control us and these people have great power. The majority should be represented not the powerful minority. Remember when PIAB was proposed by Dorothea Dowling on the instructions of Mary Harney T.D., there were a lot of Conferences convened to discuss the Proposal. I attended one in Trinity College where Ms Dowling clearly set out the proposals and referred to PIAB as a ‘solicitor free zone’. Ken Murphy attended and spoke at this conference on behalf on the Law Society. He said that the Law Society had reservations about PIAB but were not simply against it. At the luncheon recess I was in the company of Ms Dowling and I spoke with Mr Murphy who responded to me that he and the Law Society didn’t agree with my views on PIAB. My views were to fight for the right of the citizen to bring their case before a Court instead of having to have it first submitted to a Government Agency. The introduction of PIAB has contributed greatly to the loss of jobs in the profession. Clearly, The Law Society showed no concern for them as they were “solicitors who advertised” and suchlike. As regards the change in procedure where Solicitors must now give a Certificate of Title to The Financial Institutions instead of the previous system where you closed the purchase at the Offices of the Solicitor for the said Institution, who will stand up and take credit for that disaster? That decision alone has been detrimental to the legal profession. How many jobs lost to the profession by that stroke of genius ? Hasn’t the Profession been brought into disrepute by the actions of some of its members who used this daft change in procedures to enrich themselves? A lot of us spoke about such a thing being possible many years ago but the Law Society was unconcerned. Please use your Vote, make up your own mind and don’t be taken in by the argument that there are no other options. We are lawyers and deserve better than being told that we must Vote without full disclosure of all the facts. How would you advise your own clients if they sought your advice on such a Vote? LegalEagleStar , Tuesday , 7th. June 2011. 27-28 Marino Mart, Fairview, Dublin 3. *Personal Injury Law, Family Law and Divorce, Real Estate, Wills and Probate. Phone +3531 833 3097 www.baldwinlegal.ie *In contentious business, a solicitor may not calculate fees or other charges as a percentage or proportion of any award or settlement.